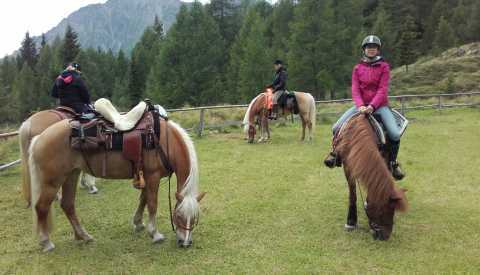 Riding holidays at the Bacherhof in Pfitsch – our offers for you! 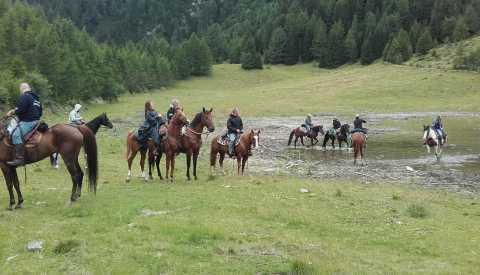 Take advantage of our package offers for a memorable riding holiday at the Bacherhof in beautiful South Tyrol. 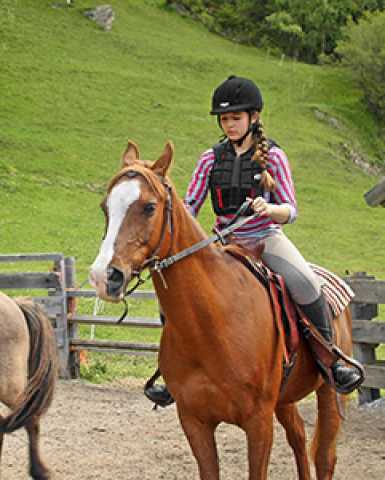 Whether you are returning to riding after a hiatus or just starting out, here with us everyone finds the perfect challenge they have been looking for. 1x coffee break with sweet treats from the world of South Tyrolean cooking. 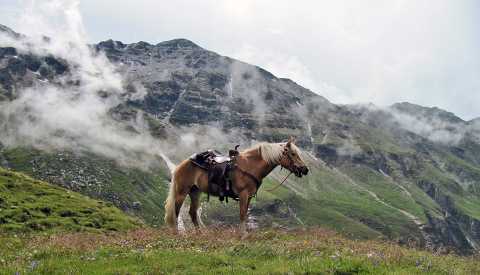 Up into the saddle and out into the countryside, exploring the magical alpine landscapes of Pfitschtal and enjoying the freedom you only ever find on horseback. 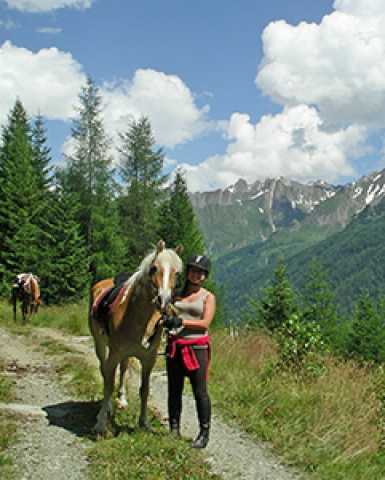 Trail rides daily, please book well in advance!